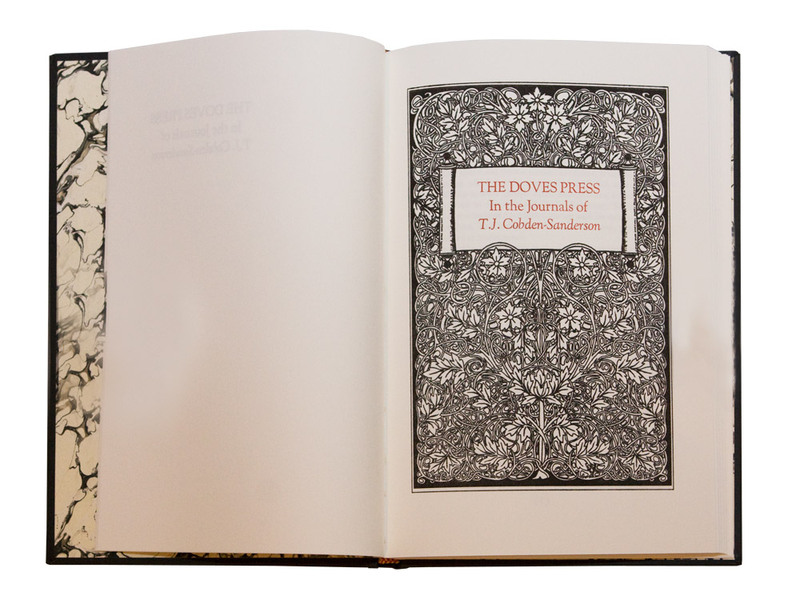 The Doves Press – In the Journals of T. J. Cobden-Sanderson, is a hand-printed, hard bound book featuring personal reminiscences of Cobden-Sanderson, the legendary type designer whose famous type became synonymous with the Arts and Crafts movement. 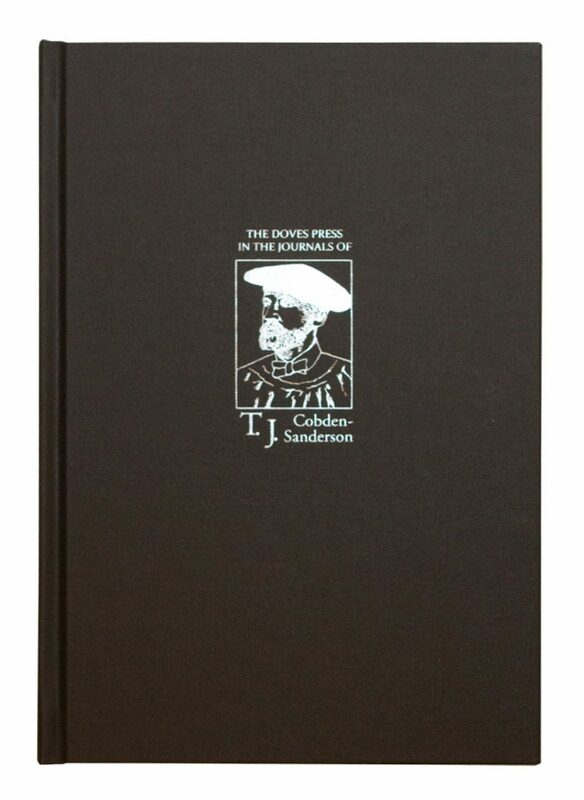 The Doves Press – In the Journals of T. J. Cobden-Sanderson, is a hand-printed, hard bound book featuring personal reminiscences of Cobden-Sanderson, the legendary type designer whose famous type became synonymous with the Arts and Crafts movement. It was extracted from his Journals whenever a reference was made to the trials and tribulations of the Press. Limited to 70 copies signed and numbered. 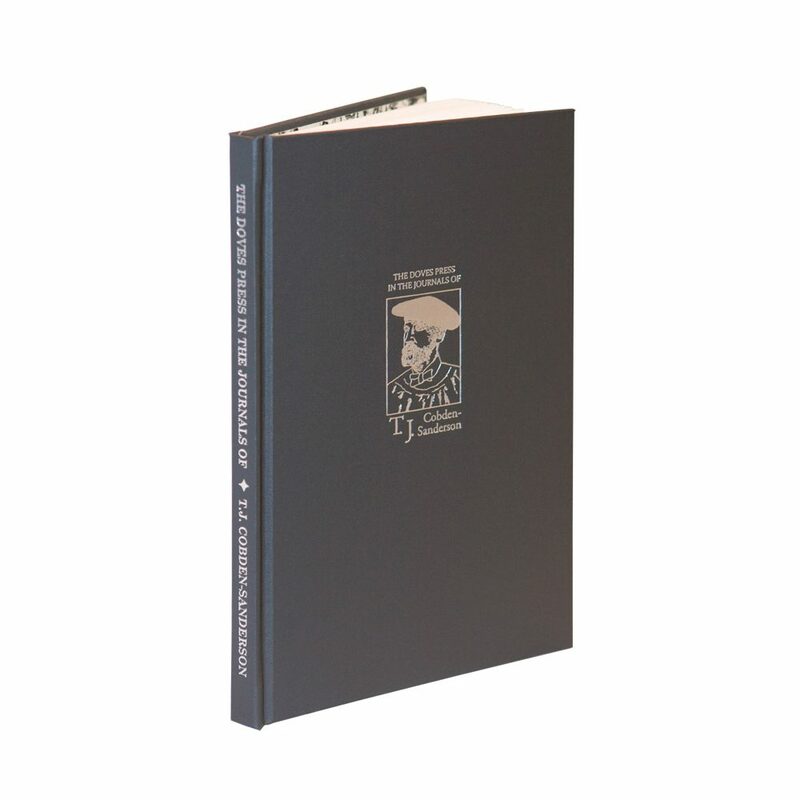 Doves Press was a private press based in Hammersmith, London. It was founded by T. J. Cobden Sanderson before 1900 when he asked Sir Emery Walker to join him (their partnership was dissolved in 1909). Cobden Sanderson commissioned the press’s type, which was drawn under Walker’s supervision, and set up the Doves Bindery to bind the books he and Walker printed. 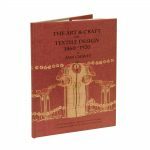 The Press produced all its books using a single size of this type, between 1900 and 1916, and is considered to have been a significant contributor to the Arts and Crafts movement. 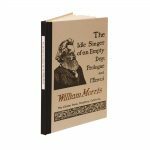 The founders were associated with William Morris and the Kelmscott Press. The type, known as ‘The Doves Type’, was based on types used by Nicolas Jenson from the 1470s. The type, punches and matrices were destroyed by Cobden Sanderson between 1913 and 1917, when he took them to Hammersmith Bridge and threw them into the Thames. The press was named after ‘The Dove’ an old riverside pub in Hammersmith. 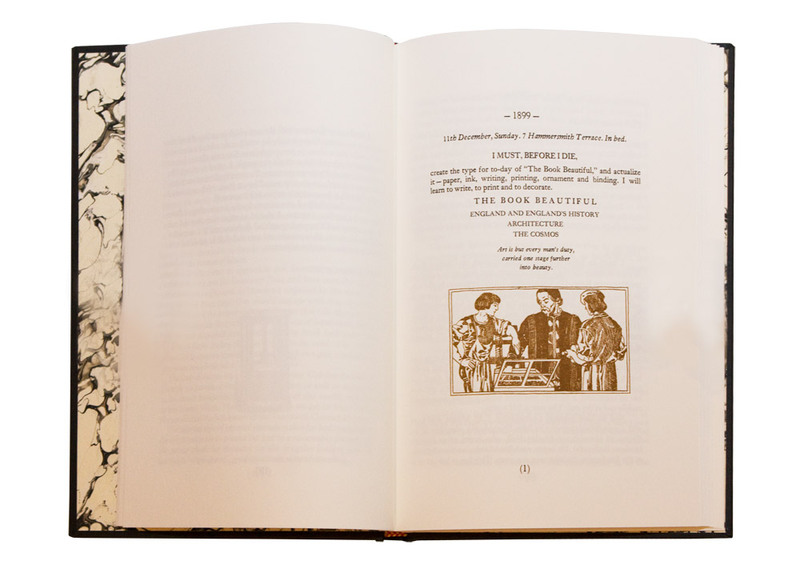 The Doves Press was responsible for the Doves Bible (5 vols, 1902–1904), which is considered to be one of the best examples of its type.